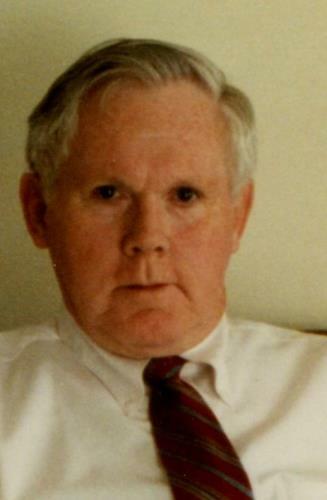 Benjamin Hayes Harrison Jr, 82, of Red Bank, passed away on Monday, January 14, 2019. Ben was born in Sewanee, Tn., on Feb. 14, 1936, to the late William H. Harrison and Elenora Garner Harrison. He graduated from Franklin County High School, class of 1957. He served his country in the U.S. Army and retired from Dupont with 32 years of faithful service. Ben was an Avid Tennessee Vols fan and enjoyed traveling and gardening as well as hunting and fishing. He was a member of Red Bank Church of Christ. Ben was preceded in death by his wife, Inez Sanders Harrison, his parents, as well as his brothers, Clarence, Bill, Francis, and Tom Harrison. Survivors include his son, Bentley H. Harrison; sister, Ruby Heilman; and many extended family members. The family would like to give special thanks to Dr. Richard Sowell, Dr. John Boldt Jr, Dr. John C. Hemphill, and Dr. Tareck Kadrie for the care given during Ben’s time of illness. The family will receive friends on Wednesday, Jan. 16, from 4-8 p.m. at Chattanooga Funeral Home North Chapel, Hixson. Funeral services will be in the funeral home chapel on Thursday, Jan. 17, at 1 p.m. Interment with military honors will follow in Hamilton Memorial Gardens. Pallbearers include Mac Henley, Scott Sanders, Robert Sanders, Darrell Brown, Randy Bouldin, and Danny Coffelt. In lieu of flowers, the family requests that memorial contributions be made to either Martin Boyd Christian Home, Alzheimer’s Association, or to St Jude Children’s Hospital. Arrangements are under the care of the North Chapel of Chattanooga Funeral Home, Crematory and Florist, 5401 Highway 153, Hixson.